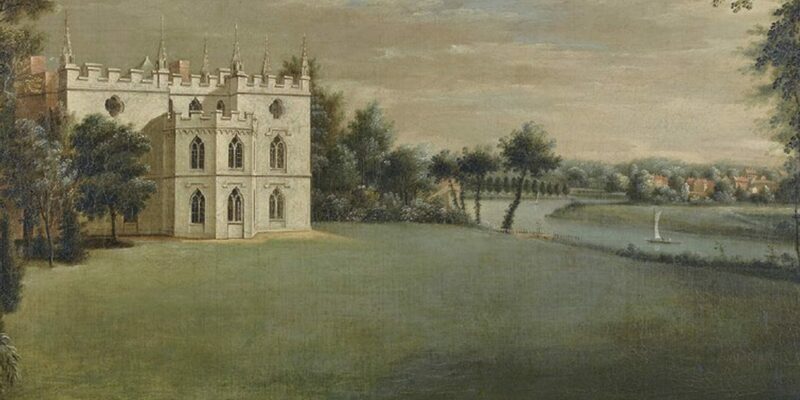 FT Article: Why Walpole positioned gloom against greenery in Strawberry Hill - J Stern & Co.
“The excellent exhibition of the Lost Treasures of Strawberry Hill closes on Sunday evening at Strawberry Hill in Twickenham, west London. It is unmissable. It corrects ideas of Georgian taste as a Golden Age of classicism only. Paintings and items owned by Horace Walpole, Strawberry Hill’s mastermind, have been returned to their original positions in his house. They are back for the first time since the 28-day sale which dispersed them in 1842. The show has been sponsored by J Stern & Co, a private investment firm whose ancestors, rich private bankers across Europe, lived in Strawberry Hill from 1883 to 1923.
entire year. A charitable trust runs the house without any public money. It is embarking next month on an appeal for patrons to carry the show’s impetus forwards. It deserves support. Between 1747 and 1797, Walpole thought carefully about the integration of his house and garden and the experience they could convey. He is a presiding genius of house and home in Britain and gardening’s essential role in them.